Every day, thousands of people move to Mumbai with big dreams. Mumbai is the business capital of India, and it is one of the costliest cities to live in the country. Yes, for many Mumbai is a city of dreams and getting a property in one of the most happening cities of India is no mean feat. But then, it goes without saying that Mumbai provides job opportunities and therefore, every day, youngsters throng this city to find a footing. Now, for a youngster owing a residential property in Mumbai is as tricky as say trekking in the most steeper slopes of Himalayas. But then, it's a city of dreams, and everyone has dreams of owning a property in Aamchi Mumbai. And in that case, Andheri East is one of the prime locations for buying a property. Buying a home is a significant investment. Therefore, one should consider Andheri East, which falls between the Western and Eastern express highway, while purchasing a property. 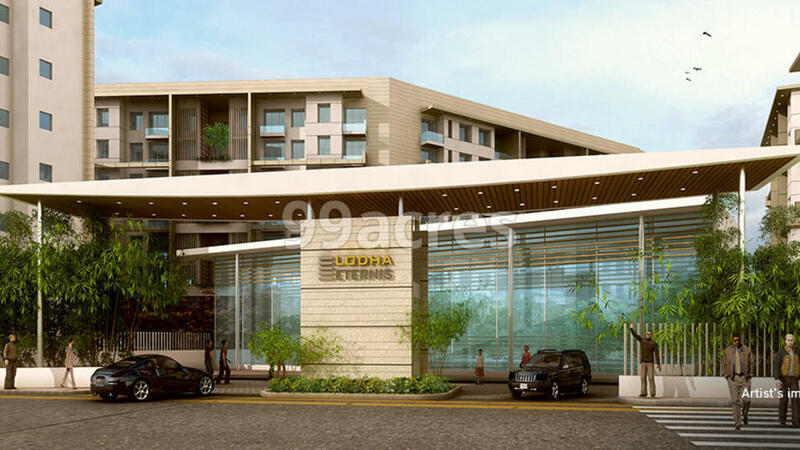 Last few years have witnessed the emergence of several new projects in Andheri East. Of course, the price would be on the higher side when you live in Andheri area. But then there are many pluses to dwell in that part of the city. Andheri is well-connected with the airport, the railway station and has some of the most popular shopping malls, in and around the location. Andheri is centrally located with the IT hubs and private firms placed nearby. The Andheri railway station is one of the busiest railway stations in the city. If you are traveling to the Chhatrapati Shivaji International Airport via Andheri - Kurla Road or take the Sir Mathuradas Vasanji Road, it would take less than even eight minutes. The distance is less than 2.5 km. Also, if you buy your pad in Andheri, you would be the lucky one to have the connectivity of Line 1 of the Mumbai Metro or the Versova-Andheri-Ghatkopar Line. Now, given how busy the streets of Mumbai remain, you know how much Metro connectivity can mean. And in today's time, the area matters the most when you are zeroing down on a property. Imagine living in a place where you don't have a shopping mall or cannot go out for a late-night movie or eat out at your favorite food joint as and when you feel like? Why will you invest your money in a property in a metropolitan if you cannot fulfill all these wishes? Andheri provides you with more than enough reasons to enjoy the facilities of modern-day living. Infiniti Mall in Andheri is undoubtedly one of the best sought-after shopping destinations in Mumbai. Infiniti Mall offers endless options to any shopper with some of the best world-class brands and restaurants. From Starbucks Coffee, Baskin Robbins, McDonald's to Domino's Pizza, name it, and you have it at Infiniti. You can also go to Mega Mall, G7 Mall, Citi Mall, Crystal Point Mall, and the Fun Republic Mall. There are many real estate developers and builders who can easily offer new residentialprojects in Andheri East and West. Some of the properties are under construction, but the developers can also provide you with ready-to-move flats. Since you will be spending your hard-earned money, you will get the best amenities in these projects. From the gym, basketball court, indoor games, jogging track, skating rink, swimming pool, yoga and meditation zone, and spa arena. For the kids, you have an amphitheater. Some of the post properties have bar lounges, conference rooms, senior citizen sitouts and sun decks. A few costly new projects in Andheri East, whose booking base price starts from Rs 3.4 crore, provides services like inner street lights, salon, shopping center, high-speed elevators, garbage disposal system, rainwater harvesting, and sewage treatment. Some of the ready-to-move flats with terrace garden can go up to Rs 10.5 crore to Rs 15 crore. If you are looking to buy apartments from well-established developers, then the properties are already Real Estate Regulatory Authority (RERA) registered. Those with the intention to buy 1BHK can look for property along Andheri-Dahisar area. Here, you would find 1 BHK ranging from Rs 50 lakh to 1.75 crores. The best part about new residential projects in Andheri East is that it offers flats for middle-income groups, luxury towers to elegant apartments. It's one of the most reliable, beautiful and well-maintained areas of Mumbai.